I interviewed a lovely woman last week. I fell in love with her as she told me her story. There are some tough episodes in her life--but she didn't want to dwell on those. Elba looks at the glass half full. Full, really. When she has an opportunity, she takes it. Does whatever is required. I was quietly impressed. 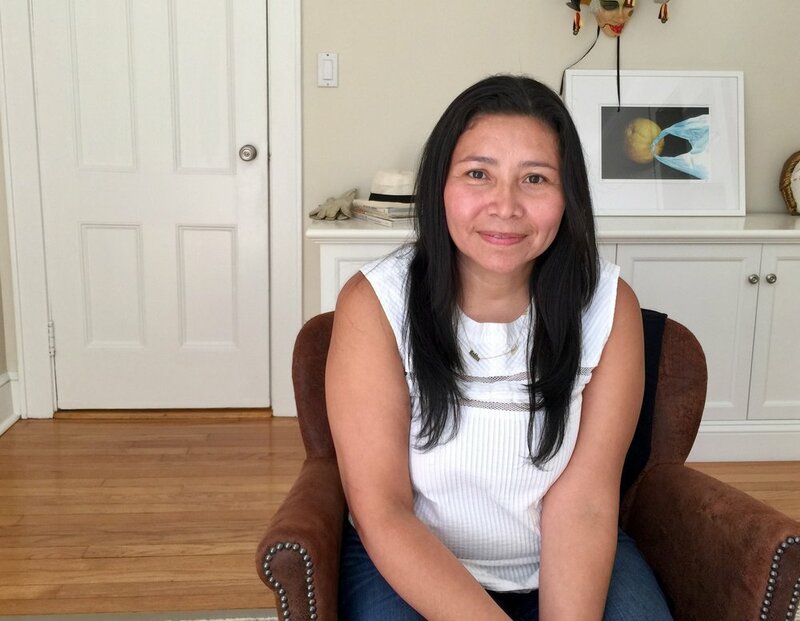 This Latina immigrant arrived in the US from El Salvador when she was fifteen to live with her mother whom she hadn't seen since she was a little girl of four. Of course Elba is a full-fledged American now and knows it. And she adds a word of caution to Latinos, "Speak to me in English. We shouldn't box ourselves, because everyone else already does." Our newest arrivals bring energy, creativity, and a willingness to do what it takes. On this July 4th, let me say that I too am grateful for this country. For what it has offered me. For opportunities to grow, to say and think whatever I want. For the protections of its constitution. For the wide range of people who live within its borders. Feliz cumpleaños Estados Unidos de America! Take a look at Elba's story on HuffPost.